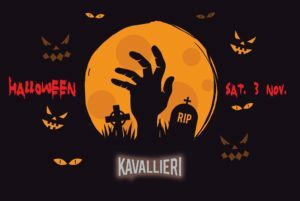 Halloween party is on the 3rd November after the match against Falcons, so please SAVE the date as it’s going to be massive at the Marco Polo Hostel at 20:00. Costume is a MUST or else you need to suffer all night!!! Also there will be face painting! Price is €25p.p. including 2 hours open bar (21:00 – 23:00) and finger food! (Payment is in advanced). DM Tony Sammut, Branton Bonello, Terence Galdes, Sergio Degabriele, Joseph Grech, Patrice Debiere or Brenton Miller. Event link is on our Facebook page.